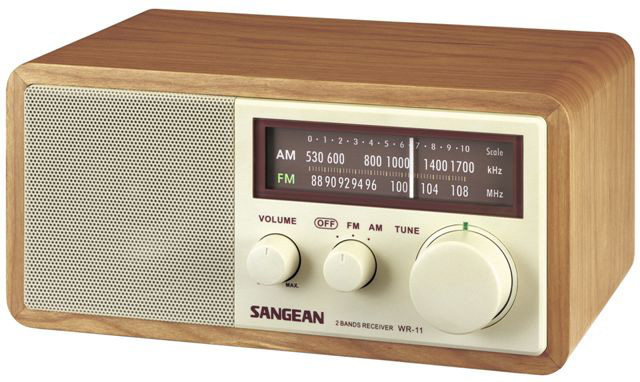 The Sangean WR-11 draws on the simple style and elegance of the WR-1. The WR-11 has an acoustically tuned wooden cabinet, large 3 inch, 7 watt speaker and only three rotating knobs. 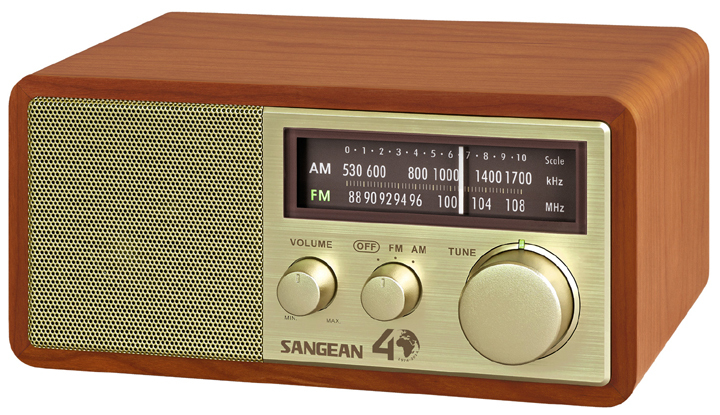 This amazingly sensitive and sophisticated radio is easier to control than your average TV and sounds better than your home stereo system. And although it looks classic it has plenty of modern features to give your living room, bedroom, or even kitchen a great sound and look. 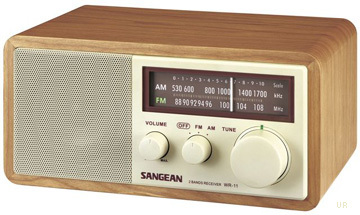 Jacks include: stereo earphones, auxiliary input and record output. There is a tuning LED plus an internal/external antenna switch. Supplied with an AC power cord and can also operate from 9 to 14 VDC. 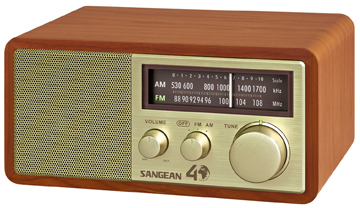 The special edition Sangean WR-11SE commemorates the Sangean 40th Anniversary. It features a rich wood cabinet with a light bronze finish. Shown right above.